Star of Hope and #skipittogiveit is changing people, donors and recipients alike. 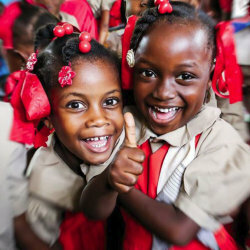 The third year of the “Skip it to Give it” campaign is soon rolling over to year four. We use the hashtag #skipittogiveit” and our hashtag says it all! You Skip something small and give the cost to a truly needy person. See the video below. Typical kitchen, a happy one this day. 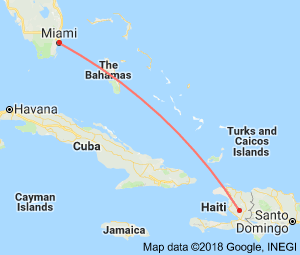 What can I do you might say, Together you and the “Skip it to Give it” campaign can literally change the lives of people in Haiti, just by applying a few simple steps to your and your family's everyday living can bring about a huge change. 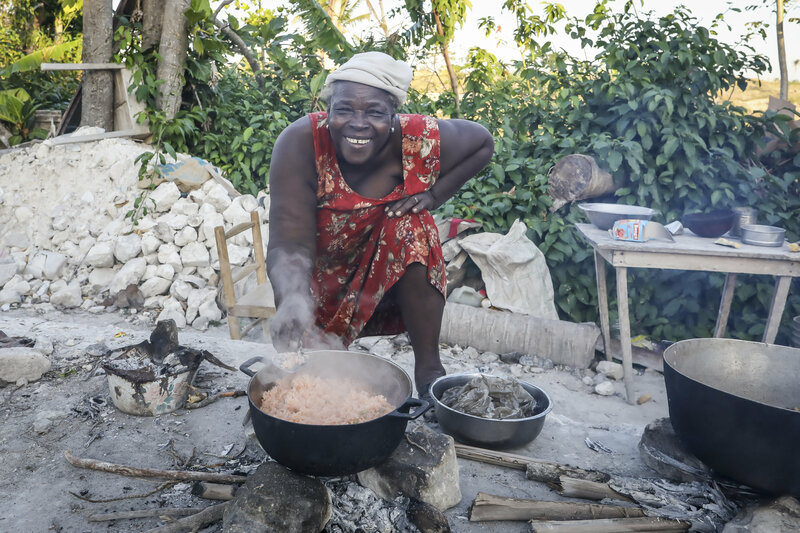 Imagine thinking about others before buying that Starbucks coffee, or that half dozen Dunkin Donuts, a movie night or a dinner out... and taking those few dollars and giving them to help feed the hungry in Haiti? Do you Need a Video to help you decide? Here is a video of our friend, Pastor Jonathan, he explains this much better! 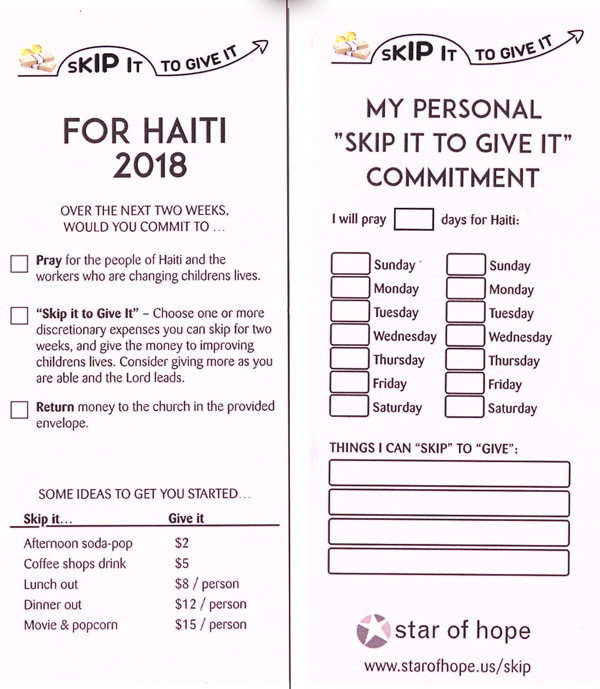 Do this at home are at Church or do you belong to a group that can implement "Skip it to Give it"? Give us a Call at 866 653 0321 for clear information on how to get started! Your action can be like a seed that was thrown and does grow.